It may not occur to most people that this year’s college graduates stand at the leading edge of fashion design. In fact, as parents drop their children off at a specialty summer camp, they may not realize that their child is helping decide next season’s wearable trends. The next generation has an incredible amount of technology at their creative disposal. Today, we connect with two fashion design programs offering unparalleled access to digital technology and advanced design instruction. 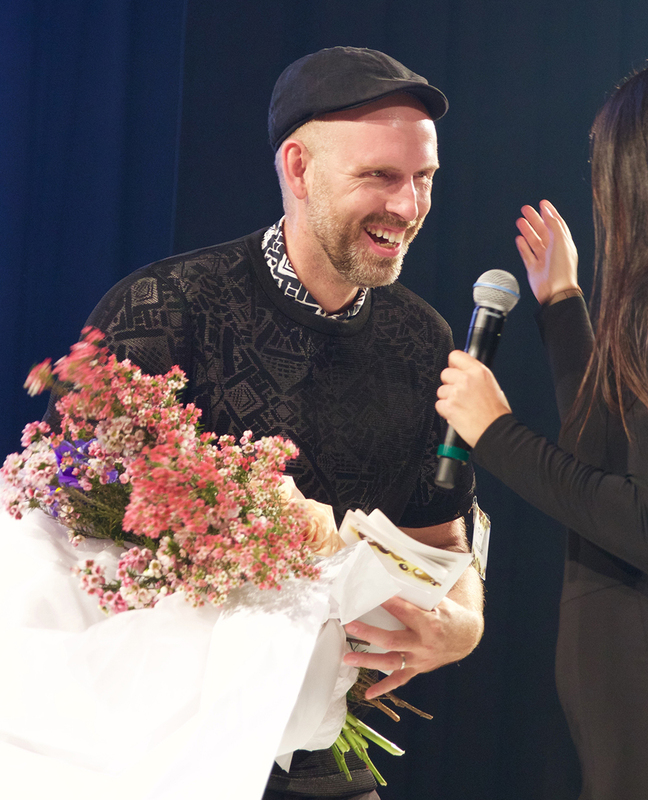 Justin LeBlanc, professor at North Carolina State University and runner up on Project Runway All Stars, discusses how his students are pushing innovation in the fashion world, and Rob Younkers, co-founder of STITCHED youth fashion camp, shares the incredible talent he discovers in his young designers. Technology is always pushing new trends as it allows the creative experimentation process to become faster, easier, and more accessible. LeBlanc just added another successful iteration of Art2Wear (A2W) fashion to his name, so we inquired how technology and fashion are playing together on the runway today. 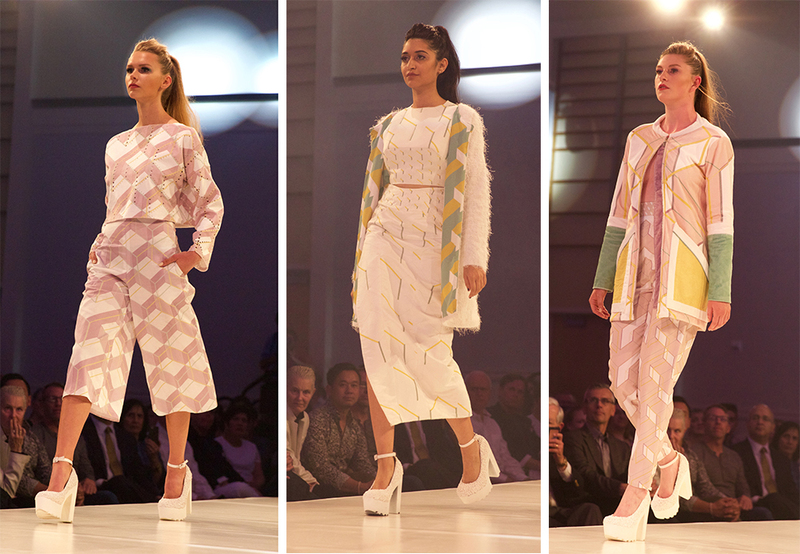 The A2W fashion show fuses the talents from several departments in NC State’s College of Design and beyond, exposing student designers to the broader field of fashion through the usage of advanced dressmaking and current technologies ranging from couture designs to 3D printing. “There are so many technologies on the horizon. One example is 3D printing. Ten years ago, 3D printing was solely use for engineering purposes to build parts for machines. Who would have fathomed that 3D printing would have revolutionized the fashion world? With that said, anything is possible,” adds LeBlanc. 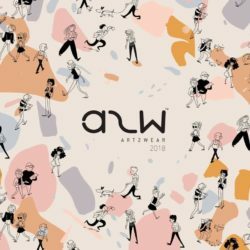 Some examples of original print designs created in this year’s Art2Wear collections include Angele Grey, Meghan Shea (below), Leeza Regensburger, and Grace Hallman. The fourth iteration of STITCHED begins on July 25th. 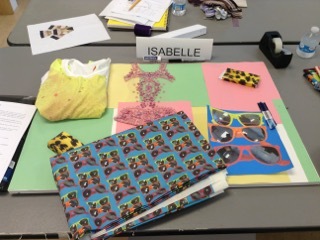 The kids’ fashion camp located in the Hamptons, New York has grown each year, but the organizers have insisted on maintaining a max camper number of 18 (yes, there is a waiting list) so that each individual gets the time, attention and materials they need to be successful. This year the camp organizers are switching it up with new projects and thinking about sustainability, approaching old projects from a new angle. STITCHED campers, ranging in age from 7-17, are always creatively inspired by technology. 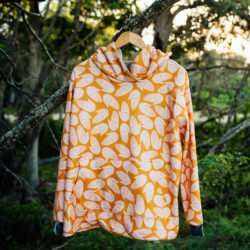 “Some campers have built an archive of Spoonflower designs over the years. Some kids want to draw and create a design, some use photography as the foundation of their art, along with Photoshopping the images. There’s so much originality when campers design a print,” said Younkers. 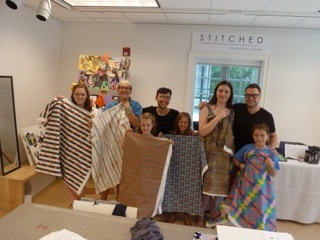 “When they start sewing the garments, each camper has a different point of view, and it’s amazing to see how that’s changed over the years,” added Megan Lesser, one of the organizers of STITCHED. “It’s really about creation from every angle. We’ve never sourced pre-existing designs. 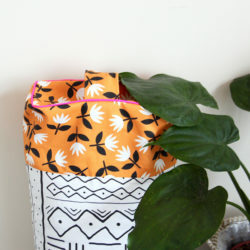 The campers work from scratch and Spoonflower has allowed that. The camp is such a hands-on experience, and it sits in this intersection where “old fashioned” meets cutting-edge technology. 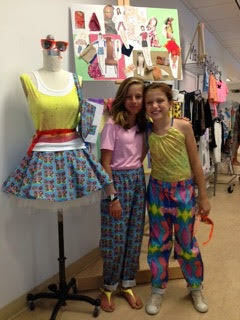 Because of access to Spoonflower, the campers are challenged to think innovatively,” concludes Younkers. During STITCHED, each camper learns learns everything about clothing design from start to finish––from pattern-making to construction to garment finishing. At the end of camp, each camper comes away with professional photos for their portfolio. Some of the campers return year after year and we see many of them getting interested in design as career. Are you a student studying fashion design or know someone who is? 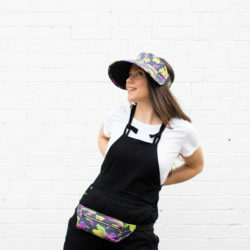 Learn more about how to enroll in STITCHED or apply to Spoonflower’s monthly Emerging Designer Grant, which supports fledgling designers creating collections from custom-printed fabric.